Are you someone who loves jewelry and is always looking to add stunning pieces to your set? Are you the type of individual that always needs a large assortment of jewelry so that you have something to match with any outfit? Well, today is your lucky day because you just struck gold! This auction has one lot that consists of silver and gold tone necklaces. If you are a jewelry lover, then this auction is perfect for you because everyone knows that buying jewelry at a store can be quite costly, but now is your chance to acquire it at a huge discount. If you are a man, then this auction will help you buy the perfect gift for your girlfriend or mother! If you would like to inspect these necklaces in person before deciding whether or not to place a bid then you must contact the custodian ahead of time to schedule an appointment. This auction is located in Manhattan, New York, and the closing time is on September 13 at 6:45 pm central time. Right now, the current bid is $610, and there have been 11 bidders so far. For any further information, simply click here to subscribe to www.governmentauctions.org for your FREE 3 day trial. 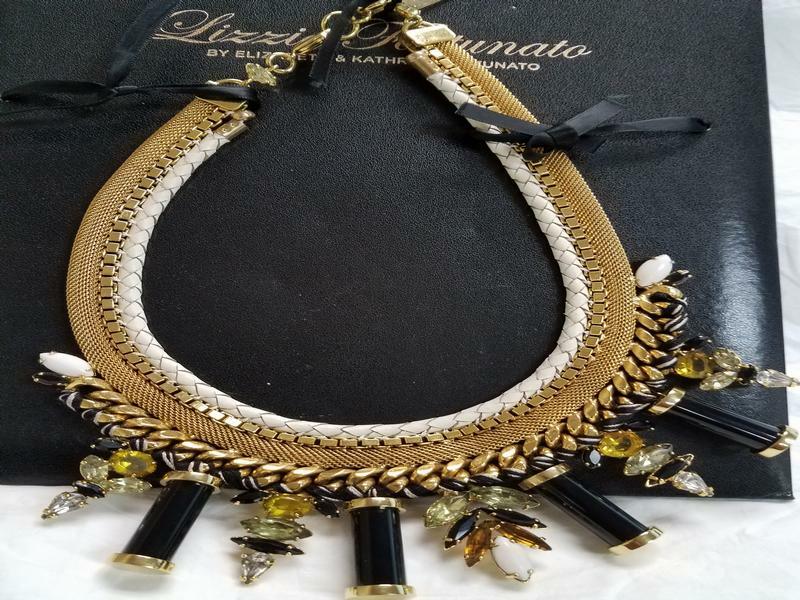 This Necklace Will Look Stunning On You! Are you somebody who loves jewelry? Well, get excited because this auction is hanging on a chain for you! This auction has one lot consisting of a gentleman’s diamond and gold pendant and chain. The chain is constructed of IO karat white gold, measures 36.5 inches, and weighs 32.6 grams. The chain hosts a lobster claw clasp and the links are shaped in a wheat design measuring 2.75mm. Constructed of 14K white gold, the pendant and bezel host a total of 146 round bead set diamonds forming the letter “D”, in an Old English style font. The pendant measures 2X1.25 inches and weighs 22.5 grams. The bezel features nine enhanced blue diamonds measuring approximately 1.0 – 1.5mm in diameter. These are flanked on each side by three enhanced yellow diamonds measuring approximately 1.6-1.mm. 23 enhanced blue diamonds measuring approximately 1.7mm outline the edges hundred-eight enhanced blue diamonds measuring approximately 1.5mm each. These diamonds grade Sli/S12 in clarity, I/Jin color, and weigh approximately 2 carats total weight. If you would like to inspect this watch in person before deciding whether or not to place a bid then you must contact the custodian ahead of time to schedule an appointment. This auction is located in Columbus Ohio, and the closing time is on August 25 at 5:34 pm central time. Right now, the current bid is $610, and there have been 8 bidders so far, so be sure to be the very next one! For any further information, simply click here to subscribe to www.governmentauctions.org for your FREE 3 day trial. This Gold And Diamond Pendant And Chain Will Have You Looking Mighty Fine! Are you a man who takes pride in his jewelry? Well, listen closely because this auction will have you looking spiffy! This auction consists of a gentleman’s diamond and gold pendant and chain. The chain is constructed of 10 karat white gold, measures 39 inches, and weighs 97.5 grams. The chain hosts a lobster claw clasp and features heavy, triangular links. Constructed of 14K white gold, the pendant and bezel weigh 75 grams and hosts a total of one 125 round diamonds, although 1 diamond is missing. The bezel hosts 4 diamonds measuring approximately 2.8mm in diameter. The pendant design features a right hand with fingers and part of a thumb with the middle two fingers crossed. The thumb portion of the pendant hosts 11 diamonds; the first digit hosts 15 diamonds; the second digit hosts 19 diamonds; the third digit hosts 12 diamonds; and the fourth digit hosts 15 diamonds. All of these diamonds measure approximately 2.8-3.0mm in diameter. 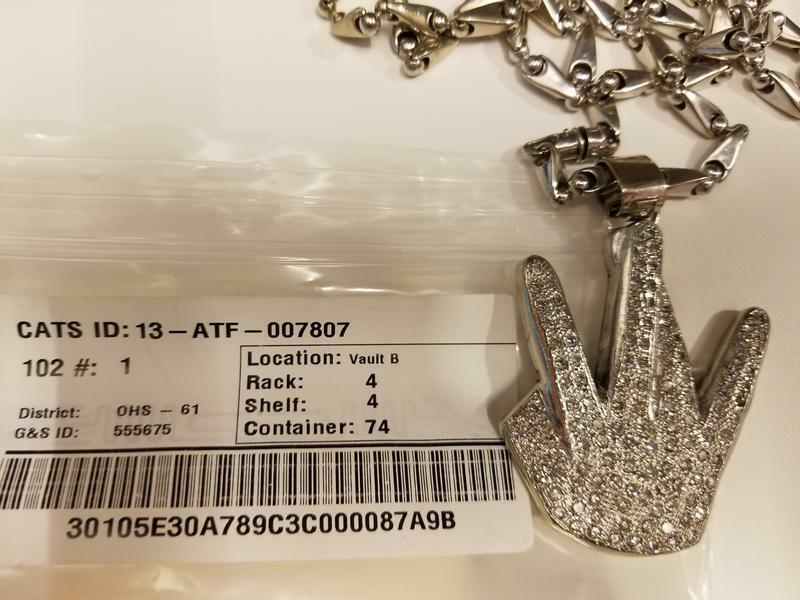 If you would like to inspect this piece of jewelry in person before deciding whether or not to place a bid then you must contact the custodian ahead of time to schedule an appointment. This auction is located in Columbus, Ohio, and the closing time is on July 28 at 5:46 pm central time. Right now, the current bid is $2,000, and there has been 1 bidder so far. For any further information, simply click here to subscribe to www.governmentauctions.org for your FREE 3 day trial. This 18K Gold Necklace Will Definitely Make You Feel Like Royalty! Are you somebody who loves jewelry? Are you ready to look amazing everywhere you go and be the center of attention? Well, if this sounds like who then listen up because this auction is shining bright! This auction consists of an 18K gold necklace with the Saudi Arabia emblem. It will look great with any outfit, and you will love it so much that you will be sure to keep a special spot for it in your jewelry box! This necklace can also make the perfect gift for a man to give his spouse, girlfriend or mother. They will most certainly adore it, and you can give it to them on any occasion such as a birthday, anniversary, Valentine’s Day, or even just any random day when you want to make that special someone feel super special! 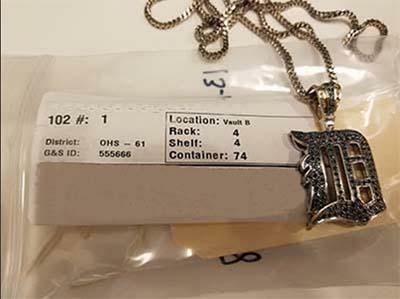 If you would like to inspect this necklace in person before deciding whether or not to place a bid then you must contact the custodian ahead of time to schedule an appointment. This auction is located in Springfield, Virginia, and the closing time is on July 12 at 5:12 pm central time. The starting bid is only $125, so be sure to get first dibs! For any further information, simply click here to subscribe to www.governmentauctions.org for your FREE 3 day trial. An Amazing Set Of Matching Earrings and Necklace! 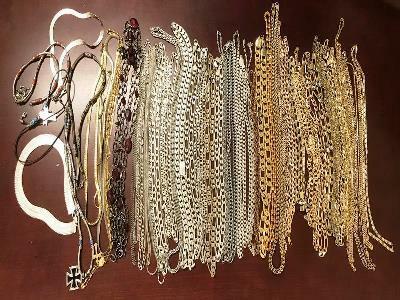 Don’t you just love your jewelry collection? Are you always looking to add more fine pieces of jewelry to your collection? Are you a husband or a boyfriend that wants to get your significant other an incredible gift that she will always remember? Well, you are looking in the right place! 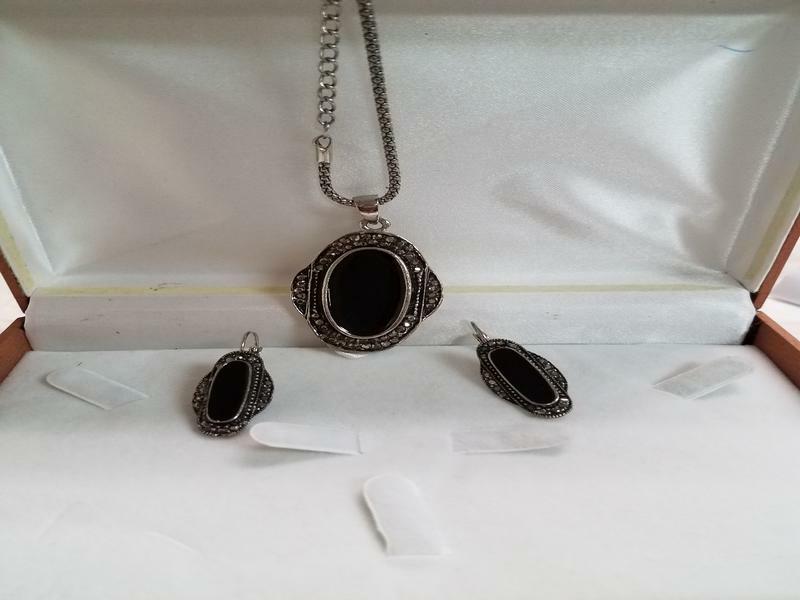 This auction consists of a silver necklace with a black onyx pendant and matching earrings. These pieces of jewelry both come in a brown box. This necklace and matching earrings will go great with any outfit, and you will be able to wear them for virtually any occasion. For men, these pieces of jewelry will be a great gift for her birthday, Valentine’s Day, wedding anniversary, or just any other day where you want to surprise her. If you would like to inspect this jewelry in person before placing your bid, then you will need to make an appointment ahead of time. This auction is located in Springfield, Virginia, and the closing time is on March 28 at 5:53 pm central time. At the moment, the current bid is only $30 and there has been just one bidder so far. For any further information, simply click here to subscribe to www.governmentauctions.org for your FREE 3 day trial. This Necklace Will Look Amazing On You! Are you someone who is absolutely obsessed with collecting fine pieces of jewelry? Are you always looking to add more items to your jewelry box and expand your collection? Well, look no further because this auction has your name written all over it! 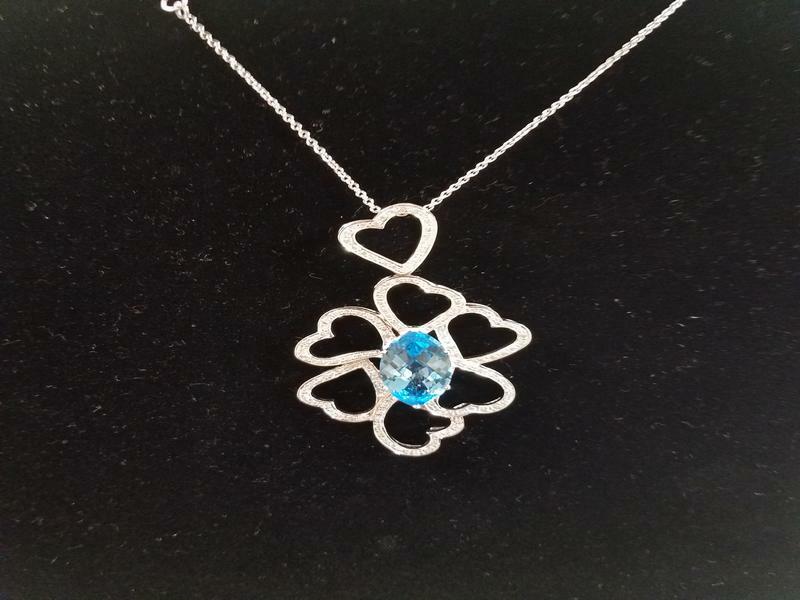 This auction consists of a ladies blue topaz and diamond heart pendant. It is high polished, prong set, 18 karat white gold weighing 10.5 dwts. This pendant is hung on a 16 inch long 18 karat white gold rope chain. There are 129 round brilliant cut diamonds that weigh .005 cts each for a total diamond weight of .65 cts. The diamonds have H color with SII clarity. This necklace has been authenticated. Not only is this auction perfect for a woman who loves jewelry, but it is also the perfect auction for any man who is looking to buy their spouse or significant other a great birthday, anniversary, or holiday gift! She is sure to love it! This auction is located in Springfield, Virginia, and the closing time is on March 23 at 5:01 pm central time. As of now, the current bid is $950, and there has been only one bidder so far. For any further information, simply click here to subscribe to www.governmentauctions.org for your FREE 3 day trial. A Beautiful Necklace And Set Of Earrings! Breaking News: This Is Awesome!